How do I view registered services for all users in a course? 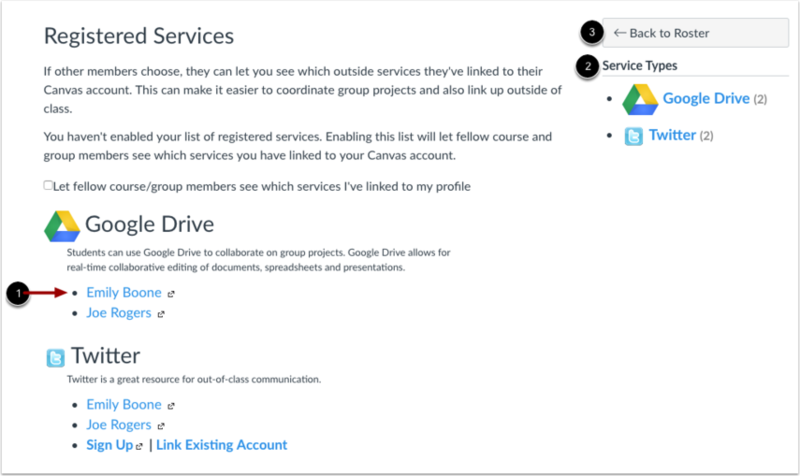 You can view which web services your students have linked to in Canvas. Learn how to connect to web services in Canvas. Note: Registered services can also be viewed for individual users in the People user details page. In the Options drop-down menu , click the View Registered Services link . View registered services for users in your course. The page displays each service and which specific members of your course have registered the service . The sidebar shows a summary of the registered service types . 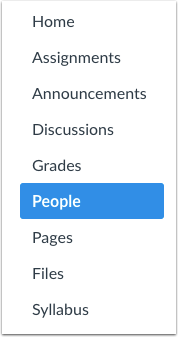 To return to the People page, click the Back to Roster button . Previous Topic:How do I view the course access report for an individual user? Next Topic:How do I edit my profile in my user account as an instructor? Table of Contents > People > How do I view registered services for all users in a course?